Where will your homeschool journey take you? Welcome to New Harvest Co-op! New Harvest is a parent-led co-op that focuses on providing academic and enrichment classes with a biblical world view. We are a community of homeschoolers providing encouragement and support to one another in Hampton Roads. Together, we stand shoulder to shoulder on the journey to prepare our students for academic success in a modern world. New Harvest provides three core classes, literature, history, and science, for grades K-12. High schoolers enjoy an even broader range of required courses available to those seeking a higher education. Finally, we add enrichment classes for all grade levels. The more families and cooperation we have, the more enrichment we can provide! Working together to help students develop their passions and walk in their God-given callings, we challenge and encourage them through a quality social and educational experience. We know education is not always "one size fits all," therefore we do our best to work with each student to strengthen them in all aspects of learning. Join us in reaping a harvest of hearts turned toward identity in Christ and lives filled with educational success. 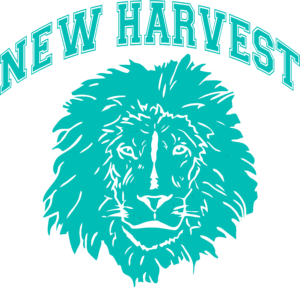 At New Harvest, we strive to provide challenging academic classes using tools such as group discussion, projects, team-building, media and experiments. We desire to see our students thrive and grow into the young men and women God has called them to be. 1. involving mutual assistance in working toward a common goal. "every member has clearly defined tasks in a cooperative enterprise"
By bringing families together through instruction, training, special events, parties, or "Mom's night out," we build each other up. Life can be tough. Let's encourage each other! It's not all hard work! Children benefit from and enjoy both in-house creative outlets and traveling together. Field trips are a fun way to enrich their educational experience. Whether its using their imaginations to go back in time, studying farm life, or learning about space travel, they expand their world and learn how it applies to them and their friends. Contact us with any questions you may have or apply online.